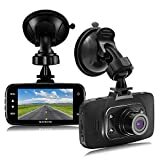 HD Recording – This dash cam provides its users with High-Definition video recording at 1920*1080 resolution, which is perfect quality to playback the recordings. 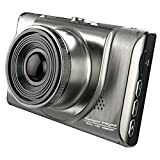 Ultra wide lens – This dash cam comes with a 140 degree ultra wide angle lens so it will catch everything you drive towards – providing a much better view of things that don’t often get seen by other dash cams. LCD Screen – An easy to use 2.5” LCD screen will ensure you have a simple screen to alter video settings. 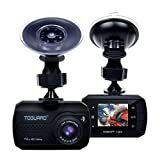 Microphone – This dash cam comes fully equipped with an integrated microphone so you will catch all of the important sounds that go with the recordings. This is a very basic dash cam but it still offers everything a dash cam should, and it’s very affordable. Automated recording – As soon as you switch the engine on the recorder will start doing its magic and once you have finished with the vehicle the recorder will stop recording so you don’t have to lift a finger. Easy installation – This product comes with an easy installation guarantee which will ensure this product can be setup within minutes. Video playback – The small screen will allow you to watch video playback instantaneously. Ultra wide viewing angle – The front lens provides the camera with a 140 degree viewing angle to let it capture more than its competitors. Haoponer have been manufacturing dash cam products for years so they know a thing or two when it comes to recording the important events that take place on the road. If you are looking for a very affordable dash cam that can provide you with all the basic features, this dash cam may well tickle your fancy. G-sensor technology – You can be sure all of your files will be safe when colliding with another vehicle/object thanks to its automated file protector. Clear HD videos – The crystal clear HD recorded videos will provide perfect evidence should any accidents happen during your journey. Slick design – This slick design by LANKA is compact enough to keep out of view and still provides top quality recordings. Motion detection – This product provides motion detection so you can be sure your car will be under surveillance even when you aren’t present. 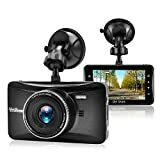 This LANKA Dash Cam is one of the cheapest dash cams on the market so if you are looking for your first camera you may consider starting with this one as it’s not going to set you back much at all. Loop recording – The loop recording feature constantly overwrites old video recordings and replaces them with new ones. This means users don’t need a lot of space and will save them time deleting videos manually. Motion detection – The motion detectors can sense any movement in front of the car and will automatically start recording which is great if you are parked up and you aren’t anywhere near your vehicle. HD screen – Small 2.4” screen will let you watch playback of previous recordings. G-Sensor support – The G-sensor within this device will automatically save any recordings if it detects a collision with another vehicle. So even if the dash cam gets damaged in the process you will still be able to get access to your recordings. 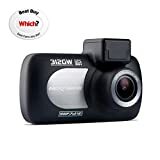 For the price you pay for this Toguard Dash Cam you will be a bit sceptical as to whether it will last, but many customers have had nothing but good experiences with the dash cam and still to this day continue to leave great reviews about it. Easy to use – This dash cam is very basic and only provides users with the most basic features needed to record their journey. This means the product is very easy to install and use and you’ll not have to worry about anything other than driving. Overwrites old recordings – If you don’t have sufficient space any more to fit any more recordings it will automatically overwrite the oldest recordings in place for new ones. Clear view recording – This cheap dash cam can pick up license plates from 20 feet which just goes to show how competitive this dash cam is. 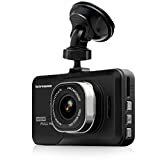 Micro SD card included – Even for the low price this dash cam comes at, it still includes a free SD card consisting of 32GB of space for you to get started with. In conclusion, there isn’t much else to say about this dash cam because it has everything a basic user requires, and what’s better is the fact it’s one of the cheapest dash cams in the industry. It’s very easy to see why the E-PRANCE New G1W Novatek is in top spot, and that’s simply because it is very popular and has been providing a great experience for users across the country for a while now. The price of this product is almost mind boggling because it seems to offer just as much as some of the higher end dash cams do.